Thanks to Disney-Hyperion for sending me a set of VILLAINS books, and for providing a prize pack! Why does Maleficent curse the innocent princess? What led to her becoming so filled with malice, anger, and hatred? Many tales have tried to explain her motives. Here is one account, pulled down from the many passed down through the ages. It is a tale of love and betrayal, of magic and reveries. It is a tale of the Mistress of All Evil. I just love these books and Natalie is OBSESSED with the Disney Villains. These are so much fun for so many reasons!! First, they are well written and perfect for a younger reader. Next, they really do have a great take on our childhood favorite characters!!! They are all so creative, it’s really nice to be able to share them with my girl. It’s also nice to see her truly love reading them the way she does. Great fun!!! A $100 Visa gift card to indulge on whatever makes you happiest! Mistress of All Evil: A Tale of the Dark Fairy, part of the Disney Villains, Book #4 By Serena Valentino releases October 3rd, 2017!! Serena Valentino has been weaving tales that combine mythos and guile for the past decade. She has earned critical acclaim in both the comic and horror domains, where she is known for her unique style of storytelling. She brings her readers into exquisitely frightening worlds filled with terror, beauty, and extraordinary protagonists. The books in her best-selling Villains series are best enjoyed when read in the following order: Fairest of All, The Beast Within, Poor Unfortunate Soul, and Mistress of All Evil. 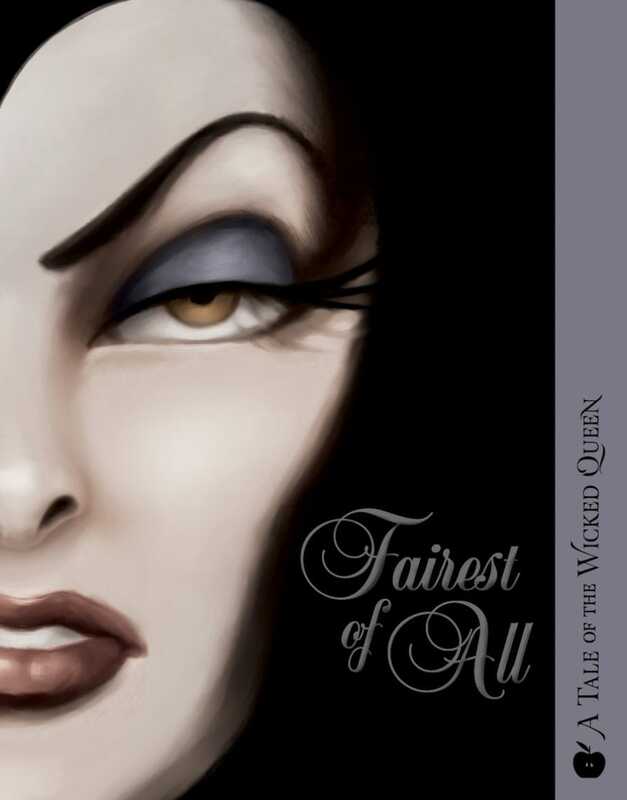 Her latest is Mistress of All Evil: A Tale of the Dark Fairy, part of the Disney Villains. 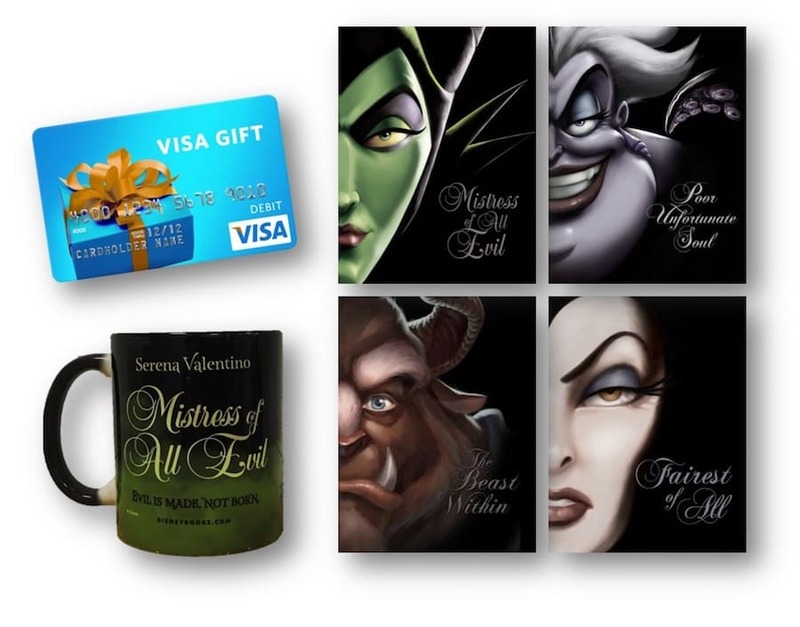 THE MISTRESS OF ALL EVIL: Shouldn’t she too get a happily ever after? 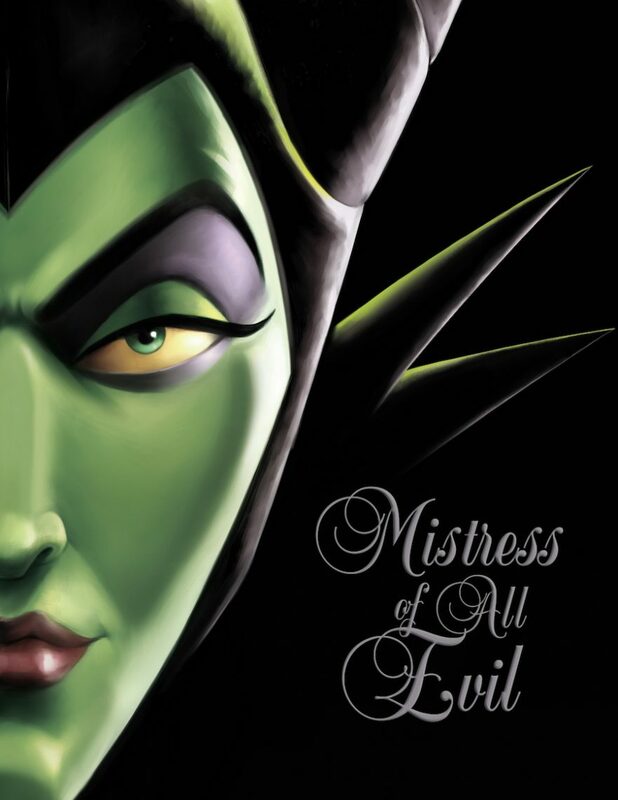 Find out even more about Mistress of All Evil: A Tale of the Dark Fairy, part of the Disney Villains!!! *Giveaway open to US addresses only. Prizing and samples provided by Disney-Hyperion. This post was created in partnership with Disney-Hyperion. All opinions are my own. My favorite disney villian is ursula from little mermaid. My favorite Disney villain is Ursula. I love Ursula. She is my favorite Disney Villan of all time. Prince Hans from Frozen is my favorite villian. Scar from the Lion King! I love Maleficent! Me and my daughter love that movie so much! Ursula from The Little Mermaid is my favorite villian. My favorite Disney villain is Cruella de Vil. Lucifer the cat from Cinderella. Cruella De Ville is my favorite villain. I loved the Queen of Hearts from Alice in Wonderland! She is a total psychotic crazy lady! Cruela DeVil is the best Disney Villian. The best most clever name too. This is so awesome! I’m as big a fan of Disney villains as I am of the heroes. They’ve always done a great job of making their villains delightfully terrible. I would say that Cruella is probably my favorite. She is wonderfully vile. I like Ursula the best. I like Malificent the most. I like Villain in the movie Home, because it just wanted his family back at the end. Maleficent is my favorite villain! I’ve always liked Lady Tremaine from Cinderella! Ursela is my favorite villain! My favorite Disney vilain is Cruella de Vil. My favorite Disney villain is Jafar from Aladdin. Oh my goodness, my little one will absolutely love this as well! I would have to say the Evil Queen! The Wicked Queen from Snow White! Oh! This looks like a series of books that I will enjoy reading especially since I love Disney! I think it’s awesome that they made books for our favorite villains. That’s going to be exciting and interesting! Scar is my favorite Disney villain! Queen of Hearts was always one of my favorite Disney characters! Ursula the Sea Witch! She’s awesome! My favorite villain is Hades! My favorite is Cruella de ville she is scary. Cruella de Vil is my favorite villan. From the movie Jungle Book, Shere Khan. Cruella de Vil is my favorite. Edgar Balthazar from the Aristocats. He wasn’t a very good villain but he’s one of my favorites since I love the movie. My favorite is Cruella De Vil. My Favorite villain is The Beast From Beauty & The Beast. Cruella de Ville is my favorite Disney villain. My favorite Disney is Ursula. Ursula is a super villain. My favorite villain is Maleficent. I like Ursula, hahaha! Thanks so much! Prince John from Robin Hood is my favorite. I would say Hook is my favorite villain. I like Maleficent best or Ursula. Wow, a book series for Disney villains! That’s interesting! Thanks for the great giveaway. My favorite villain is Maleficent. My favorite is Maleficent, especially since the movie with Angelina Jolie. I love the backstory on how and why she became bad. My favorite Disney villian is Maleficient. She is one you just love to be a villian. Since my favorite Disney movie is The Little Mermaid, my favorite is definitely Ursula! I’ve always loved Ursula. her character is so perfect! My favorite Disney villain is Malificent. She scared the crap out of me when I was little. Captain Hook. Thanks for the chance. My favorite villain is the Horned King from The Black Cauldron. He’s one evil, scary dude! Thank you for the chance to win. The Stepmother in Cinderella is so nefarious. My favorite Disney Villan has to be Winifred Sanderson “I put a spell on you, and now your mine!” :). I like Gaston from beauty and the beast. My favorite is Cruella De Ville. This looks so good, but kind of scary! I wonder what age this would be appropriate for. I think my favorite might be Ursula. My favorite villain is Cruella [email protected] She has the best theme song! I actually do not have a favorite Disney villain. I like the beast not sure he is a true villain though. My favorite Disney villain is Scar from the Lion King! Our favorite Disney villian is: Malificent. My favorite is Ursula from little mermaid. My favorite villain would be Ursula from The Little Mermaid, thanks! Ursula from the Little Mermaid is my favorite! Cruella is my favorite Disney Villain! My favorite Disney Villain is Cruella in 101 Dalmations. For me…that would be the hunter that killed Bambi’s mom. I like Ursula. Thanks for the chance to win! Maleficent is my favorite villain. My favorite would have to be Ursula from the Little Mermaid. Ursula is my favorite villain!! Cruella De Ville is my favorite villian. Cruella DeVille is my favorite villain. Ruby is my favorite villain. Maleficient is my all time fave villian. Maleficent is my favorite villain of all time. My favorite villian is Scar from the Lion King. Ursula is my favorite villain. I like Gaston from Beauty & the Beast. He doesn’t seem like a nasty villain but he definitely is! The Queen in “Snow White”. My favorite villain is Ursula the sea witch . I don’t like any of the villains.